Made of comfortable 7-oz 100% spun polyester fleece, this hoodie from J America® is great for casual wearing. Features self-fabric waistband and cuffs for a custom, comfortable fit. 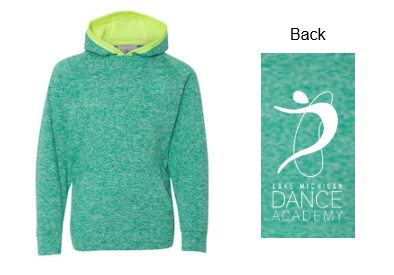 Sweatshirt features side gusset panels that create extra room for movement. Front pouch pocket is perfect for quickly stashing small items such as keys, cell phone and more.